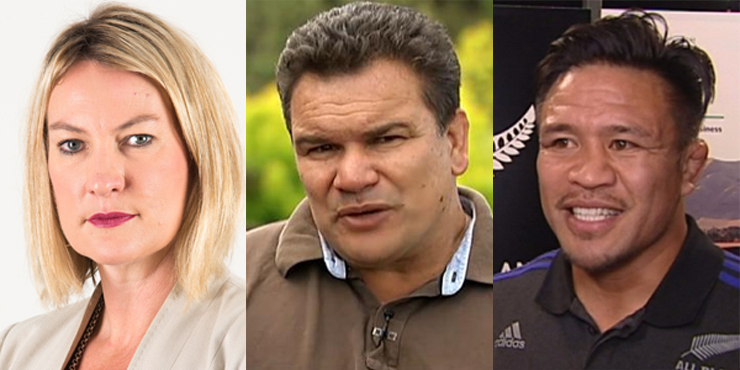 New Zealand Rugby has today announced a Respect and Responsibility review panel, featuring three prominent members from the Auckland Rugby community. The committee will be chaired by New Zealand Law Society President and employment lawyer Kathryn Beck, she is joined by nine others including Auckland Rugby Union Board member Kate Daly and former Auckland players Michael Jones and Keven Mealamu. “The work we are announcing today, will undertake a review of New Zealand Rugby policies, processes and programmes already in place, and that may need to be developed further, to build a culture of respect and responsibility in the professional rugby environment," said NZR Chairman Brent Impey. Auckland Rugby Union CEO Jarrod Bear said this was an important piece of work that NZR is embarking on and it is great to see Auckland contributing to the panel. “Kate has been a fantastic member of the ARU board for four years and we know she will be a valuable contributor to this panel. “Michael Jones and Keven Mealamu are highly regarded men, not only the rugby community, and we are confident they will help bring about positive change,” said Bear. The panel has been asked to convene at least once before the end of this year with further meetings to be held in the new year, a preliminary report will be provided to the NZR Board in April 2017.